Executive and Leadership coaching is one of the most effective ways of improving workplace performance. Gai’s experience helps executives reach the the next level. Gai Foskett is a Master Certified Coach who has delivered over 5,500 hours of one-on-one coaching internationally with high level executives, business owners, managers and individuals. She is one of only two Master Certified Coaches in New Zealand. Focused, independent coaching is designed for executives to get accelerated results in their careers, relationships, health and wealth. Executive and Leadership coaching is for business leaders, professionals, corporate directors and successful entrepreneurs who want twice the success in half the time. Results: Transformed relationships, crystal-clear focus and unshakable purpose. The coaching conversations with Gai, encourage clarity and confidence in those leading the way in today’s fast-paced business environments. With over 20 years in senior management within financial services, sales and change management, Gai’s experience coupled with her world class coaching qualifications gives her a unique view point that is invaluable in executive and leadership coaching. Free “chemistry check” where we meet face to face or virtually to get to know each other a bit, discuss what coaching is and answer all your questions about coaching and working with me. This meeting is between potential client and coach. Where required, 3 way meeting with you(client), the sponsor ( if fee paid by other than client) and coach. Phone, or face to face. Communication from coach and client, with sponsor to agree goals where required. Generally this type of coaching is aimed at senior levels of management up to and including CEO and in some cases board level. The coach is not coaching an organisation or business but rather, the person or people responsible for running it. Coaching is always about human beings – how they behave, how they think, their impact on others and outcomes. Executive coaching is about results and change. While there may be discussions about strategy around various areas for change, the coaching focuses on how that leader or manager is thinking about that strategy, the change, their people, and their own view of the world. It is rare that a business owner or executive is not at some time responsible for leading others to achieve the results they want. Leadership coaching is focused on understanding what the leadership skills and qualities are that are required to achieve desired results. Through coaching you will understand, develop and leverage these skills. You will create a new way to lead people and learn and develop who you need to ‘be’ in order to lead the way that inspires you and others. How does executive or leadership coaching work? This kind of coaching might often include working on getting feedback on an executive’s performance which is scary enough in itself. But then it is also about looking at the feedback, exploring strengths, listening to that feedback, and having the courage to decide to change to achieve a different outcome. When is executive coaching best used? Coaching can be particularly effective in times of change for an executive. That includes promotions, stretch assignments, and other new challenges. An executive might be confident in their abilities to take on new tasks, they may feel that an independent sounding board would be beneficial in helping achieve a new level of performance, especially if close confidants are now reporting to you. More so, you may recognise that succeeding in a new role requires skills that you have not needed to rely on in the past; a coach may help identify and maybe sharpen those skills. Coaching is not just for tackling new assignments. It can also play an invigorating role. Coaches can help executives “develop new ways to attack old problems, When efforts to change yourself, your team, or your company have failed—you are frustrated or burned out—a coach can be the outside sounding board to help you get to the root cause and make fundamental changes. How does executive coaching benefit an organisation? One increasingly common use of coaching for senior executives focuses on the challenges of managing younger workers, and on helping executives better understand and lead a new generation of employees whose work ethics and values are different. Coaching can help executives learn to understand the importance of their own values, their people’s values and how all need to fit together. The worlds top executives trust Master Certified Coaches. 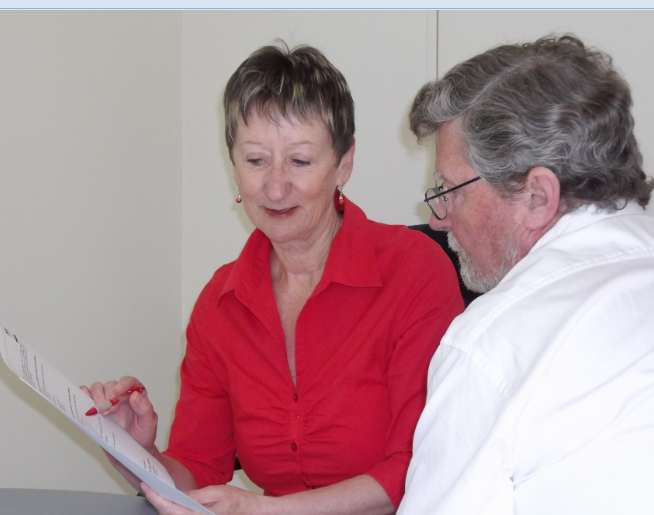 Contact Gai to find out how a Master Coach can help you and your organisation.